Mumbai's Fort neighborhood was the first part of the city to be developed by the British. It gets its name from Fort George, which was constructed in 1769 by the British East India Company and later demolished (although a small section of its wall still remains). After partially being destroyed by fire in 1803, the Fort neighborhood has evolved into a buzzing business district, with a groovy yet graceful feel. Here are the top things to do there. The British favored the Gothic style of architecture in the 19th century, using its imposing grandeur as a statement of Bombay's global power. As a result, the Fort neighborhood has some of the most magnificent Gothic style buildings in the world. These include Chhatrapati Shivaji Terminus Railway Station, the Municipal Corporation building, Bombay High Court, Rajabai Clock Tower, and Elphinstone College. There's no better way to see the Fort's Heritage Precinct than on Khaki Tour's Fort Ride Urban Safari. It covers more than 100 heritage buildings and brings them alive with insightful stories. Alternatively, numerous companies offer guided walking tours of the Fort neighborhood, such as Bombay Heritage Walks. The Kala Ghoda (Black Horse) Arts Precinct is the coolest part of Mumbai's Fort neighborhood. It was named after an equestrian statue of King Edward VII that used to be mounted in the precinct (it was removed in 1965 and relocated to Byculla Zoo). Head to Jehangir Art Gallery, the city's most famous art gallery, and browse the shows by contemporary Indian artists. Across the road, the National Gallery of Modern Art has exhibitions by important Indian and international artists (note that the entrance fee is a whopping 500 rupees for foreigners though). If you're interested in unusual and unconventional works of art, don't miss the Museum Gallery, open daily next door to Jehangir Art Gallery. Delhi Art Gallery also has a branch on VB Gandhi Marg in the Kala Ghoda Arts Precinct. There are many smaller independent art galleries as well. Plus, the iconic Kala Ghoda Arts Festival takes place every year in February. 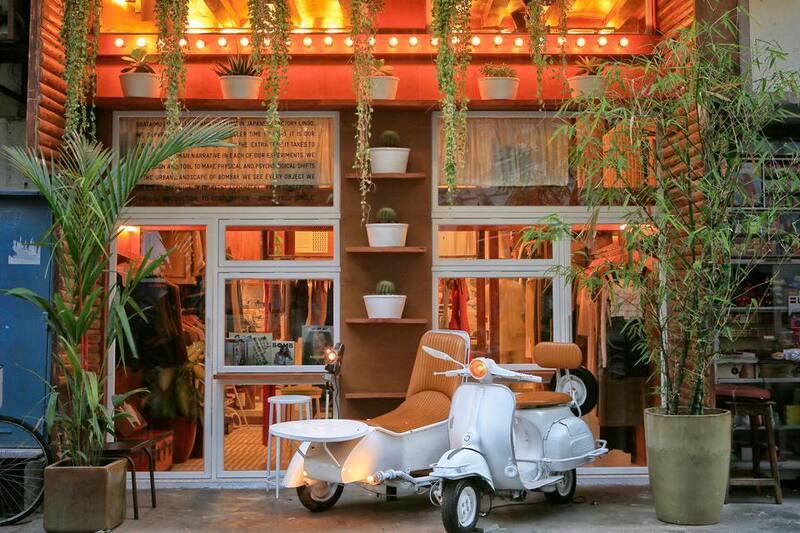 In addition to art galleries, Kala Ghoda has many hip boutiques stocking clothing and accessories, jewelry, and home decor. Some of the most notable ones are Obataimu (comfortable custom-made designer fashion), Kulture Shop (funky products by leading Indian graphic artists), Fab India (handwoven Indian clothing and textiles), Nicobar (contemporary fashion and lifestyle products), Filter (unique items designed by local artists), and Artisans (exclusive handicrafts). Love gourmet teas? Make sure you drop into the gorgeous Sancha Tea Boutique. It's easy to spend half a day wandering through the massive Chhatrapati Shivaji Maharaj Vastu Sangrahalaya—yes, it's a mouthful! Just know that it was originally the Prince of Wales Museum. The landmark building was designed specifically as a museum and opened to the public in 1922. Its Indo-Saracenic architecture reflects the progression from the earlier Gothic style prevalent in Mumbai. The museum specializes in art and history, and has a collection of more than 50,000 artifacts (many excavated from ancient Indus Valley Civilization sites dating back to about 2000 BC). It also regularly holds special themed exhibitions. The admission price is 70 rupees for Indians and 500 rupees for foreigners. Children and students pay less. The Museum Shop is a good place to buy handicrafts in Mumbai. During the time the Fort neighborhood prospered under British rule, it attracted migrants from various communities in India including Parsis and Iranians (members of the Zoroastrian religion who'd fled persecution in Persia and Iran). They settled in the congested Bora Bazaar area at the northern end of Fort, creating their own distinct microcosm. Many opened bakeries and cafes. Nowadays, just a handful of them remain. The most renowned ones are Yazdani Bakery, Britannia & Co, Jimmy Boy, Military Cafe, and Cafe Excelsior. You'll feel like you're stuck in a time warp when you enter some of these nostalgic places, as nothing much has changed inside since they opened. Named after the first Municipal Commissioner of the city, Crawford Market harks back to the days of the British and is housed in a building completed in 1869. From its imposing blend of Norman and Flemish architectural styles, you'd never guess that its interior is a maze of stalls loaded with an assortment of fruit and vegetables, meat, spices, dried fruits, imported groceries, luggage, cosmetics, animals, and even birds. The market is located near Chhatrapati Shivaji Terminus Railway Station, and is open daily except Sundays (morning only). To try and understand why Indians are so passionate about cricket, hang out at Azad Maidan. Regular cricket matches and practice sessions happen at this triangle-shaped recreational space, which was created by the British and is often used for protests. You may even be able to join in! Hundreds of clothing stalls line part of Mahatma Gandhi Road, known as Fashion Street, near Azad Maidan. You won't find any brand names there but the market is popular, particularly with college students, for its inexpensive new designs. Shoes and accessories are also available. Do be prepared to haggle hard as vendors commonly quote really inflated prices, especially to foreigners.